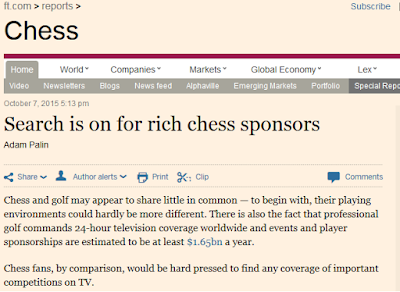 On Wednesday the Financial Times ran a number of pieces on chess, one of them, by Adam Palin, being on the search for business sponsorship. Next bit's a little worrying though, with that much-abused YouGov survey getting a mention. So it's no great surprise when....oh dear. How many? 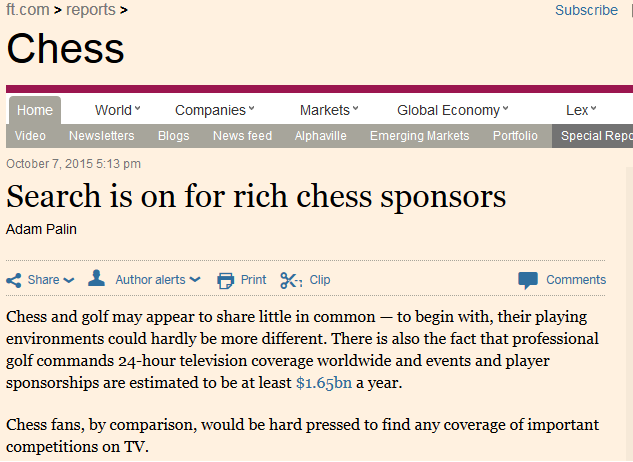 I wouldn't bet on "hundreds of millions" either. Not everybody agrees with me. Congratulations to Malcolm for his second appearance in this series.